Are you enjoying HBO’s Game of Thrones? Has the intricate plot possibly caused some healthy debate with your friends and family about what is going to happen next? If so there really are only two things you can do. You can wait a week to see the next episode, or you can go out and buy the books. Fandom loves the second option because then you can act like you’ve been a fan for years and turn your nose down at people just discovering it! Oh, I forgot about the third option. When arguing about Game of Thrones you can also take a swing at the person you’re talking to and then throw them out a window. According to the Smoking Gun that is what Michael Podniestrzanski did to his cousin Joshua Ross. The two got into a fight about "who was going to win" and then Ross was thrown out a window. 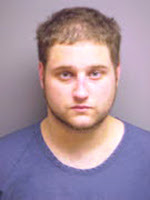 Michael has been arrested for misdemeanor domestic battery and as of 4/25/11 was in the county jail. Podniestrzanski and Ross are more then just cousins, they are also roommates. So it may have been about Game of Thrones or this could have been months of built up aggression over their roommates other annoying habits. 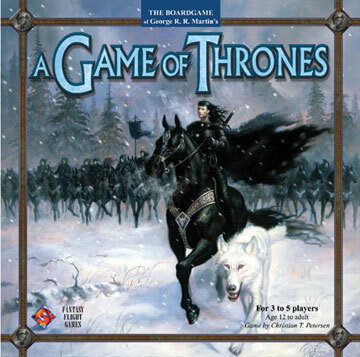 Regardless I think they need to update the rules to the Game of Thrones board game to include fisticuffs and defenestration. For the record, I've have the first Game of Throwns novel in my nightstand for a year and a half. So far I've made it to the fifth chapter. I'm sure it's good, I just haven't "gotten" it yet.